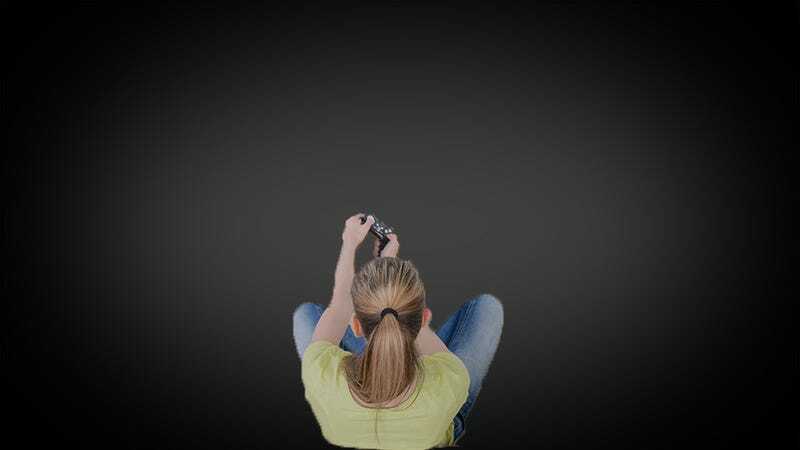 A solitary, silent majority of teenage girls plays video games: often alone, rarely online. When teenage girls do venture online to play games—and a fair chunk of them do, quite regularly—they usually don’t speak. That’s how you go from a world where 59 percent of all girls between 13 and 17 play video games to a world where teenage girls are assumed not to exist in public video game spaces. That’s all according to a report titled “Teens, Technology, and Friendships,” released earlier this month by the Pew Research Center. The chapter on video games celebrated the role that games play in many male friendships. I was struck, however, by the data about teenage girls. Here are the numbers. Almost 60 percent of the girls in the study (more than 1,000 teenagers of both sexes, surveyed last fall and this winter) say they play games on a computer, console, or cellphone. These two numbers—only 28 percent of the girls who play video games use voice chat, and only 25 percent of the girls who play video games go online even once a month—are taken from two different samples in the study and can’t be directly compared. So I asked Amanda Lenhart, one of the lead authors of the study, to crunch the numbers to find out what percentage of all teenage girls use voice chat while playing video games. It’s 9 percent. Almost 60 percent of all teenage girls play video games. Not even 10 percent of teenage girls open their mouths and speak in public video game spaces. The margins of error on these numbers are pretty high—between 6 and 9 percent, depending on the sample—but they’re all statistically significant. You can read the whole report and examine its methods here. There are lots of reasons why girls might not want to talk while playing video games with other people online. Some of them are innocuous, and some of them are troubling. I don’t want to speculate, because I want to stick to what we know from the research here. I do want to head off one objection, however, which is the idea that teenage girls are playing different kinds of video games—Kim Kardashian: Hollywood on their phones in their bedrooms, say—and that’s why they’re playing silently and by themselves. Pew didn’t poll the teenagers in its study about what genres of video games they play. During focus groups about the poll, however, the teenage girls who were surveyed did not indicate that they stick mostly to mobile games, Lenhart said. A study of 1,400 students between the 6th and 12th grades—mostly between the ages of 11 and 18—found something similar: Teenage girls play all kinds of video games. The results of that study were announced by Rosalind Wiseman and Ashly Burch in March at this year’s Game Developers Conference. More than 35 percent of the girls in the Wiseman and Burch study said they play role-playing games (a larger number than the 32 percent who said they played mobile games). More than a quarter said they play first-person shooters. MOBAs, RTS’s, platformers, sports games, and MMOs were played by more than 15 percent of girls—in each category, not all together. Equally striking, the teenage boys in the study said that the girls they knew played a wide variety of video games. Only 14 percent of the boys in the study said that girls don’t play video games at all. So these girls are silent. But—at least to their friends and classmates—they’re not invisible.